Automatic Load Holding Brake: BullDog makes safety a priority and the load holding brake adds safety to any winching job. 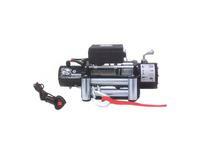 Permanent Magnet Motor: The permanent magnet motor and 3 stage planetary gear set offer maximum power and performance. Easy to Mount All-In-One Design: Winch has roller fairlead & power unit mounted directly to the base and this winch is mounted easily with 2 bolts on any flat surface. 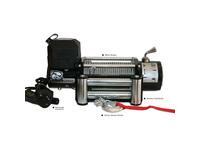 Powers Load In & Out: The BullDog trailer winch can power loads in and out with ease. 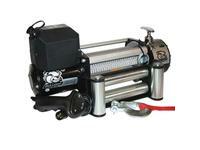 BullDog offers you the perfect solution when you need a winch mounted on a trailer or any other flat surface. 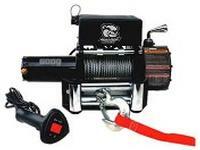 The BullDog 4500lb Trailer Winch can be mounted to any flat surface using 2 bolts and can power a load both in and out. 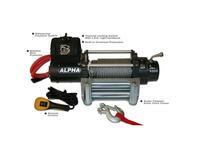 This winch also features a free-spooling clutch for quick wire rope deployment and an automatic load holding brake system. 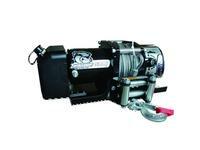 BullDog is well known for offering high quality winches at an economical price, their trailer winches are no exception offering maximum power and performance in a small package.